Eugene Kohn was immersed in opera from a very young age, accompanying the vocal classes of such “golden age” stars as Giovanni Martinelli and Maria Jeritza. He became the conducting “protégée” of the Metropolitan Opera’s Fausto Cleva, and in the 1970’s began performing in public as recital accompanist to some of opera’s greatest voices: Renata Tebaldi, Giuseppe DiStefano, Franco Corelli, Maria Callas, and the young Luciano Pavarotti. Kohn had the opportunity to study the central European symphonic repertoire with Erich Leinsdorf, and was assistant in symphonic, choral, and operatic repertoire to Thomas Schippers. 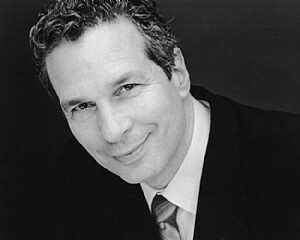 Several years of conducting regional symphony orchestras and opera companies led to his Metropolitan Opera debut in 1980, conducting “La Gioconda”. His reengagement at the MET for several different productions led to debuts in major international theatres. While based in Europe through the 1980’s and 1990’s Kohn conducted at the opera houses of Vienna, Hamburg, Berlin (both), Barcelona, Rome, Naples, Paris, Buenos Aires, etc. He held the position of Principal Guest Conductor at the Bonn Opera, where he broadened his German repertoire with productions of “Fliegende Hollaender”, “Rosenkavalier”, “Zauberfloete”, “Fidelio” etc. He also served for eight years as Music Director of the Puerto Rico Symphony, increasing their repertoire with cycles of Mahler, Stravinsky, and Bruckner. For the last ten years Kohn has divided his time equally between symphony and opera. He is also active as Music Director for concerts worldwide with Plácido Domingo, a collaboration of several decades well documented on DVD and recordings. He tours as Music Director for tenor Andrea Bocelli, and has conducted as well for Brynn Terfel, Anna Netrebko, and Angela Georhgiu, Recently he debuted with the Leipzig Gewandhaus in a Verdi Gala featuring Placido Doingo. This season he will conduct another concert with featuring Vittorio Grigolo and Angela Georghiu in Santa Monica. Kohn has precorded for EMI, Sony, and DECCA, and can also be seen as screen actor in Zeffirelli’s film “Callas Forever” (with Jerermy Irons and Fanny Ardant) where he recreates his real life role from years earlier as Ms. Callas’ accompanist.